4. Katsuda M, Miyazawa M, Kawai M, Hirono S, Okada K, Shimizu A, Kitahata Y, Yamaue H: A phase III, double-blind, randomized clinical trial comparing S-1 in combination with DC vaccine loaded with WT1 peptides (TLP0-001) or placebo for the patients with advanced pancreatic cancer refractory to standard chemotherapy. 2017ASCO annual meeting, Chicago 2017,6. 5. 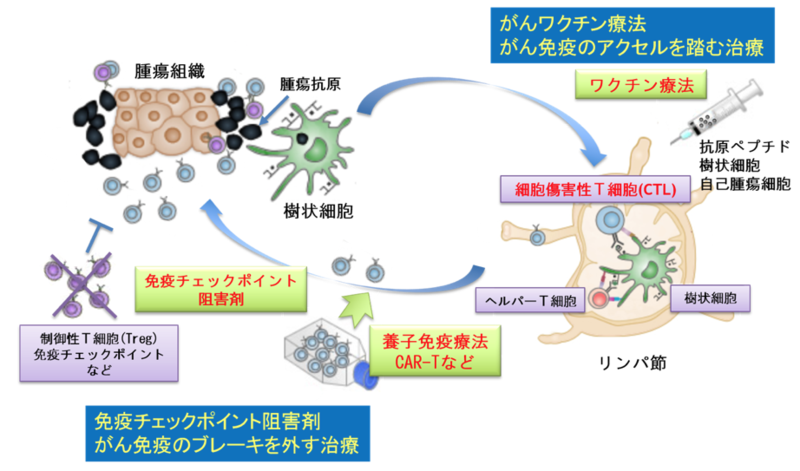 Katsuda M, Miyazawa M, Kitahata Y, Mizumoto Y, Nakamori M, Nakamura M, Ojima T, Hayata K, Tsumura A, Yamaue H: Development of therapeutic cancer peptide vaccine for the patients with gastro-intestinal cancer in Wakayama Medical University. The 4th International Conference of Federation of Asian Clinical Oncology, Amoi China 2016,9. 6. 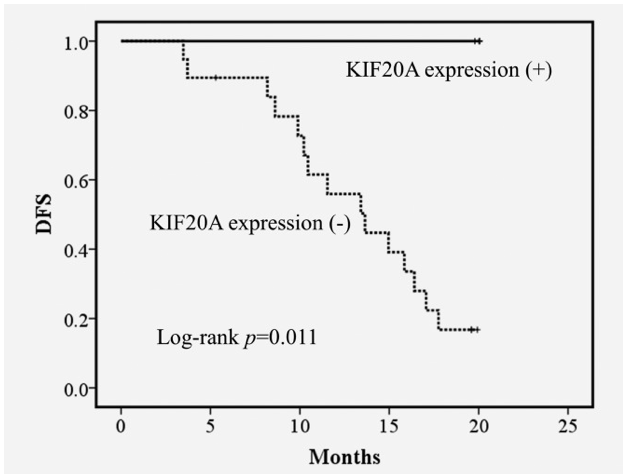 Katsuda M, Iwahashi M, Miyazawa M, Nakamori M, Nakamura M, Ojima T, Hayata K, Yamaue H : Therapeutic peptide vaccine therapy in combination with CpG-B for the patients with advanced esophageal squamous cell carcinoma. 2016ASCO annual meeting, Chicago 2016, 6. 18. 勝田将裕、 宮澤基樹、 北畑裕司、 水本有紀、 中森幹人、 中村公紀、 尾島敏康、 早田啓治、 津村亜矢子、 山上裕機 : 【シンポジウム】The challenges and prospects to develop therapeutic cancer vaccines against gastro-intestinal cancer. 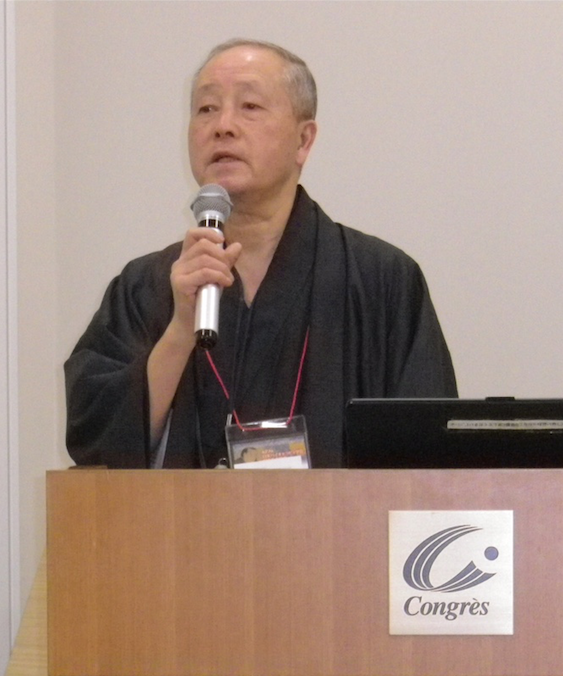 第71回日本消化器外科学会、 徳島 2016、 7. 19. 水本有紀、 勝田将裕、 宮澤基樹、 北畑裕司、 宮本篤、 中森幹人、 松田健司、 尾島敏康、 早田啓治、 北谷純也、 邊見弘明、 改正恒康、 山上裕機 : 【ワークショップ】ケモカインXCL1を用いたがんペプチドワクチン療法の開発　第29回日本バイオセラピィ学会、 久留米 2016、 11. 20. 北畑裕司、 勝田将裕、 宮澤基樹、 水本有紀、 宮本篤、 中森幹人、 尾島敏康、 石井健、 山上裕機 : 【ワークショップ】次世代型TLR 9アゴニスト (K3 – SPG) の抗腫瘍効果とそのメカニズムの解析　第29回日本バイオセラピィ学会、 久留米 2016、 11. 21. 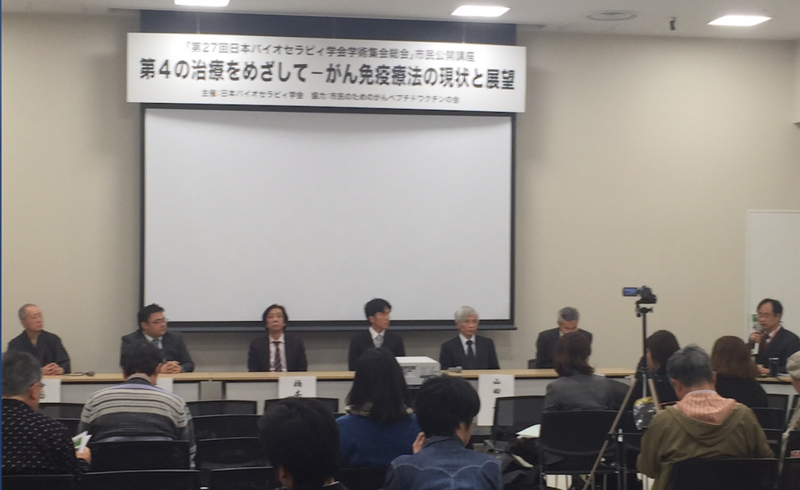 勝田将裕、宮澤基樹、中森幹人、中村公紀、川井　学、尾島敏康、廣野誠子、辻　俊明、北畑裕司、水本有紀、宮本　篤、山上裕機 : 【シンポジウム】消化器癌に対するがんワクチンの現状と展望. 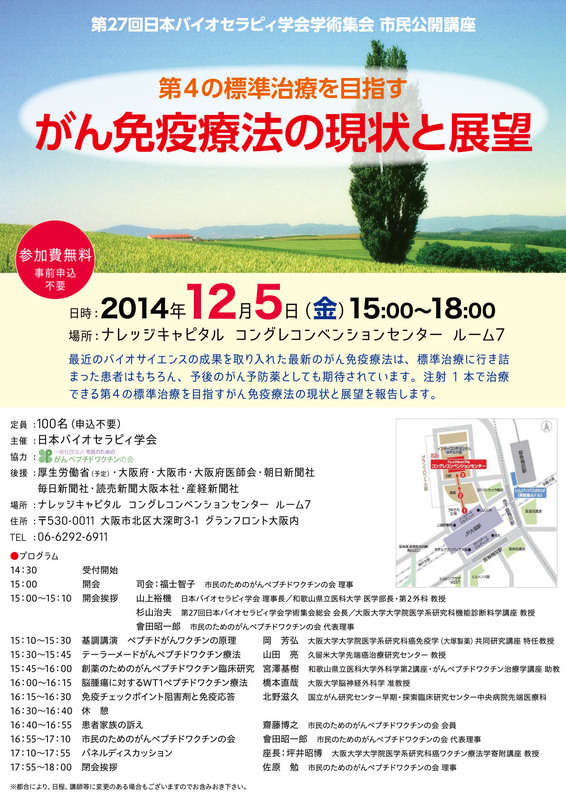 第50回制癌剤適応研究会、 徳島 2017、 3. 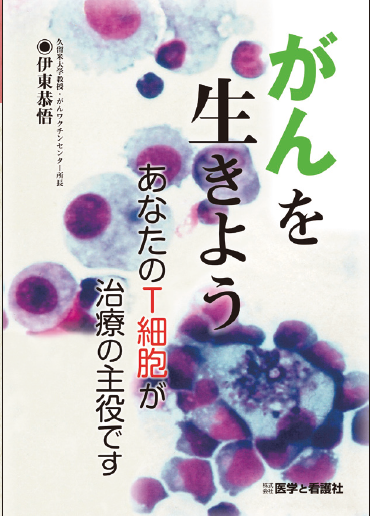 Kitadani J, Ojima T, Iwamoto H, Tabata H, Nakamori M, Nakamura M, Hayata K, Katsuda M, Miyajima M, Yamaue H. Cancer Vaccine Therapy Using Carcinoembryonic Antigen – expressing Dendritic Cells generated from Induced Pluripotent Stem Cells. Sci Rep. 15;8(1):4569, 2018. Yamaue H, Shimizu A, Hagiwara Y, Sho M, Yanagimoto H, Nakamori S, Ueno H, Ishii H, Kitano M, Sugimori K, Maguchi H, Ohkawa S, Imaoka H, Hashimoto D, Ueda K, Nebiki H, Nagakawa T, Isayama H, Yokota I, Ohashi Y, Shirasaka T. Multicenter, randomized, open-label Phase II study comparing S-1 alternate-day oral therapy with the standard daily regimen as a first-line treatment in patients with unresectable advanced pancreatic cancer. Cancer Chemother Pharmacol. 2017;79(4):813-823. 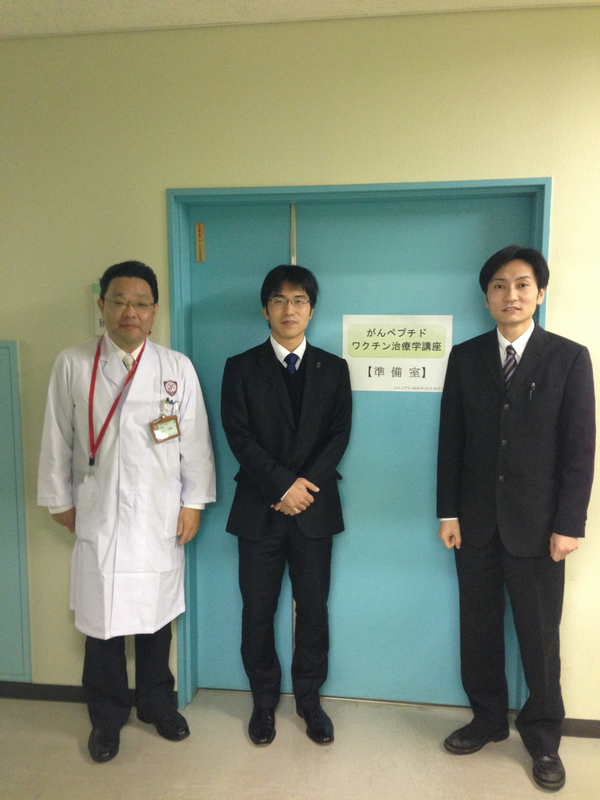 Miyazawa M, Katsuda M, Maguchi H, Katanuma A, Ishii H, Ozaka M, Yamao K, Imaoka H, Kawai M, Hirono S, Okada KI, Yamaue H. Phase II clinical trial using novel peptide cocktail vaccine as a postoperative adjuvant treatment for surgically resected pancreatic cancer patients. Int J Cancer. 2017;140(4):973-982. Yamaue H, Tsunoda T, Tani M, Miyazawa M, Yamao K, Mizuno N, Okusaka T, Ueno H, Boku N, Fukutomi A, Ishii H, Ohkawa S, Furukawa M, Maguchi H, Ikeda M, Togashi Y, Nishio K, Ohashi Y: Randomized phase II/III clinical trial of elpamotide for patients with advanced pancreatic cancer: PEGASUS-PC Study. Cancer Sci. 2015;106:883-90. Yoshimura S, Tsunoda T, Osawa R, Harada M, Watanabe T, Hikichi T, Katsuda M, Miyazawa M, Tani M, Iwahashi M, Takeda K, Katagiri T, Nakamura Y, Yamaue H: Identification of an HLA-A2-restricted epitope peptide derived from hypoxia-inducible protein 2 (HIG2). PLoS One. 2014 Jan 8;9:e85267. Iwamoto H, Ojima T, Hayata K, Katsuda M, Miyazawa M, Iida T, Nakamura M, Nakamori M, Iwahashi M, Yamaue H: Antitumor immune response of dendritic cells (DCs) expressing tumor-associated antigens derived from induced pluripotent stem cells: in comparison to bone marrow-derived DCs. Int J Cancer. 2014;134:332-41. 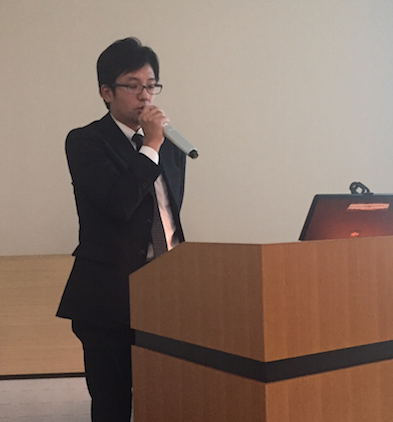 Hayata K, Iwahashi M, Ojima T, Katsuda M, Iida T, Nakamori M, Ueda K, Nakamura M, Miyazawa M, Tsuji T, Yamaue H: Inhibition of IL-17A in tumor microenvironment augments cytotoxicity of tumor infiltrating lymphocytes in tumor-bearing mice. PLoS One. 2013;8:e53131. 6. 勝田将裕、 山上裕機 : 膵臓癌に対するペプチドワクチンの現況と展望. 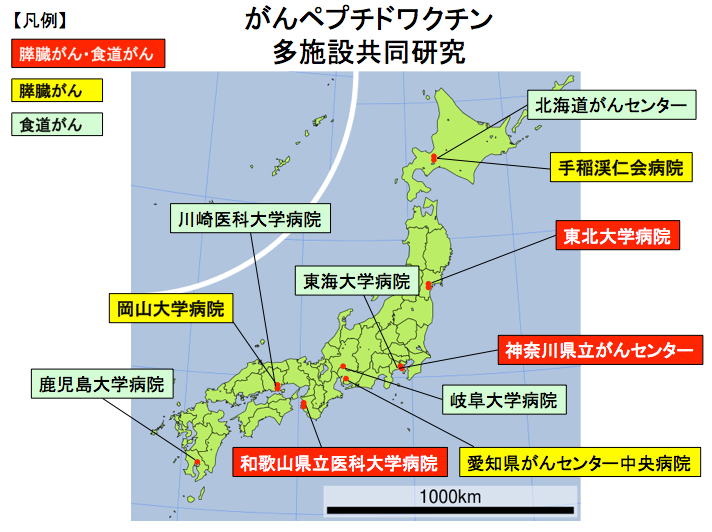 日本臨床. 73: 433-437、 2015. 1. Katsuda M and Yamaue H: VI. Immunoadjuvants 17.CpG Motif. Immunotherapy of Cancer：　An Innovative Treatment Comes of Age, Yamaguchi Y, 223-233, Springer Japan, 2016. 3. 宮澤基樹、 勝田将裕、 山上裕機 : がんワクチンと免疫チェックポイント阻害薬のコンセプトの違い. がん分子標的治療、 川上裕 13: 443-447、 メディカルレビュー社、 東京、 2015. 4. 勝田将裕、 山上裕機 : CHAPTER4 がんワクチン・細胞治療１　がんペプチドワクチン療法開発の現状と展望. 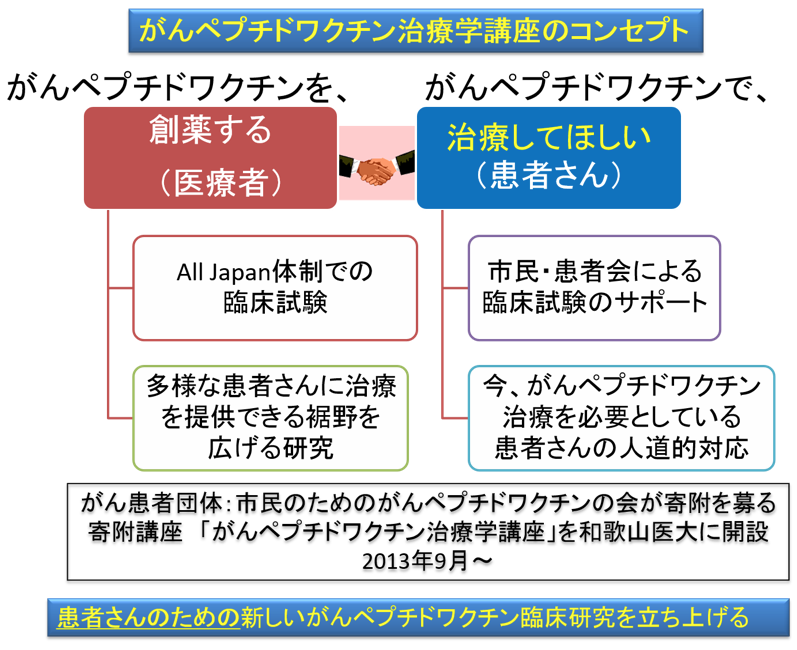 分子細胞治療フロンティア2015、 139-146、 外科分子治療研究会、 2014.